The vast reaches of mainland China will fare well during the coming pole shift for several reasons. Geographically, the land inland lies well above sea level and its moderate climate will in the main continue, but being closer to the new South Pole, India, than the previous North Pole, the climate will have shorter summers and longer, more bitter, winters. The primitive lifestyle of the majority of the people, who have learned to adapt stoically to harsh conditions both economic and political while living in what is essentially mud and straw houses or tents, will allow most to survive the pole shift and to adjust to difficult growing seasons afterwards. China will be ill prepared for the shift, due primarily to information suppression preventing new and Internet gossip from reaching the populace, and secondarily due to the sense in the governing elite that there is little they can do to protect or maintain the populace during such a catastrophe, and thus they wish to avoid any such discussions. China will be in the long night side of the Earth during the week of rotation stoppage. This situation tends to create huddling and talking activities, as the thought of being in perpetual darkness creates high anxiety, and thus the week passes. 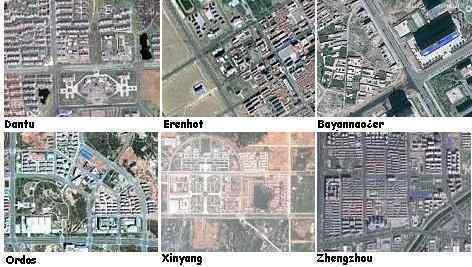 Cities built within China are not a corporate effort, they are a state effort, as it is a communist government. These ghost cities would not be a mystery if they were corporate developments, as the corporation would be advertising residences for sale. Corporate developments also do not include government buildings, highways, and attention to infrastructure. Corporate developments build up around existing infrastructure, building subdivisions or resorts. Given that this is a state enterprise, why is China doing this? Note that these ghost cities have been constructed north of what we might call the sinkhole belt, a swath of land from the northern Himalayas east to the coast. The sinkhole belt is caused by the plate bending as the plate tongue holding Indonesia is pushed down, sinking. The ghost cities are also inland, not coastal, and high enough that they would be land even after the 675 foot rise in sea level we have predicted after the pole shift. India is expected to be the new S Pole, and thus provinces in China near India will freeze and struggle, as northern Canada and Siberia do today. Thus the ghost cities are to the north of China, in lands that will be temperate. Do the governments of the world take ZetaTalk seriously? China certainly has, for the past decade. China is preparing to relocate its citizens to its new ghost cities from the coast and from the southern and western provinces near India. 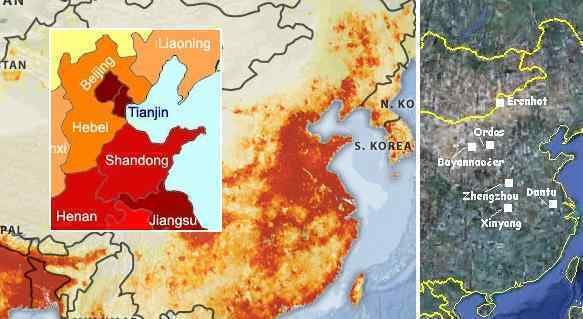 The ghost cities of China are situated where the climate and elevation will be most optimal in the Aftertime, and away from China's sinkhole belt, but they are also near China's heavy population zones. 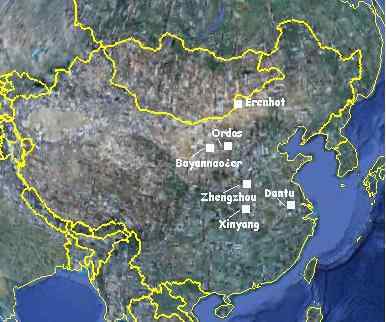 Beijing is the seat of government, and would be expected to be where most of the elite in China reside. One or more of these ghost cities could be anticipated to be the new seat of government when Beijing is flooded, as it will be. Watch how each of these cities is furnished in the future as a clue to their determination. In any case, most of the populace will hardly have a residence in one of the ghost cities, which will indeed be reserved for the elite. China can be expected to direct its population to migrate within China to the desert regions in the interior, so that a worker base can be established for the Aftertime. Such efforts are already underway, under the gist of various social programs or programs designed to develop the interior. Starvation is already a specter living in China, so will be nothing new, but survivors will find hard decisions are required. Who lives and who dies? Certainly, any refugees from other countries will be harshly ejected, with guarding the borders a top priority. Nor will the elite from other countries be welcomed. As our advice to all, each family should as far as possible make their own arrangements, as soon as possible, to be in a safe location with well established gardens, flocks, and fish ponds. Note Indonesia Elevation Loss commentary.